Donald Trump bragged about saving a Ford factory that was never closing. 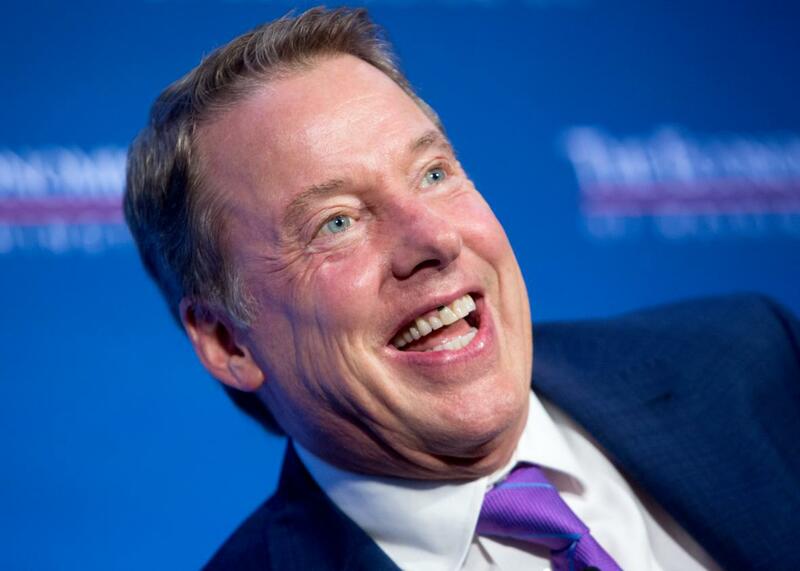 Ford Chairman Bill Ford has described himself as “frustrated” and “infuriated” by Trump’s past mischaracterizations of the company’s plans. Seemingly unable to contain his pride, President-elect Trump on Thursday night boasted on Twitter that Ford won’t be moving its production facility to Mexico after all. On the campaign trail earlier this year, Trump had railed against Ford’s plans to build a new assembly line for small cars, including the Ford Focus, in Mexico. He called the planned shift in production from U.S.-based Ford facilities “an absolute disgrace” and an example of the problems with the North American Free Trade Agreement, and he proposed to slap a 35 percent tariff on cars made in Mexico. Aw shucks, Kentucky, it was the least he could do! One problem: Ford never said it was planning to move its “Lincoln plant in Kentucky” to Mexico. In fact, it has been steadily adding jobs at its Kentucky Truck Plant and recently began building a new Super Duty pickup there, a move that Ford has touted as evidence of its commitment to U.S. manufacturing. There has been talk of shifting production of the Lincoln MKC utility vehicle from its Louisville Assembly Plant, but as of last year the rumored destination was Chicago, not Mexico. Rather, Ford has said all along that it was planning to shift small-car production to Mexico from plants in Michigan. But it has also said that the shift would make room for two new products in Michigan, and that no jobs would be lost as a result of the move. Ford reaffirmed just this week that it will go ahead with the Mexico plant as planned regardless of Trump’s election. Ford did not respond to a follow-up question as to whether it ever had plans to move production of the MKC to Mexico, and if so, why it didn’t disclose those plans. But the company told the Washington Post’s Jim Tankersley that it had been planning such a move, and that it would not proceed with it. Regardless, Reuters reports that Ford had no plans to close either of its Kentucky facilities, or any U.S. factories, and no jobs were slated to be lost in Kentucky as a result of the MKC’s production shift. Instead, as the New York Times explains, the plan was to build more Ford Escapes at the Louisville Assembly Plant. The Escape has proven far more popular than the MKC. Whether Trump had anything to do with Ford’s decision was not immediately clear, as the company deflected questions Thursday night about the president-elect’s influence on its plans. On Friday, however, the company had adjusted its story, telling the Houston Chronicle’s Lydia DePillis that Trump had in fact played a role in the announcement. It remains to be seen whether Trump offered the company anything in return, such as dropping his Mexican tariff plan.